I was born in Meran, South Tyrol. As a child I spent every weekend hiking in the mountains with my mum. When I was 12, a climbing gym was opened in my hometown and this gave me the possibility to try the sport that had always fascinated me. Soon I started to participate in sports climbing competitions and also to climb outdoor on the rock. When I was 18 I first tried Dry Tooling and Iceclimbing and in the last 10 years I have dedicated a lot of time to these disciplines as I participated in the Iceclimbing World Cup and tried to climb hard routes around the world. 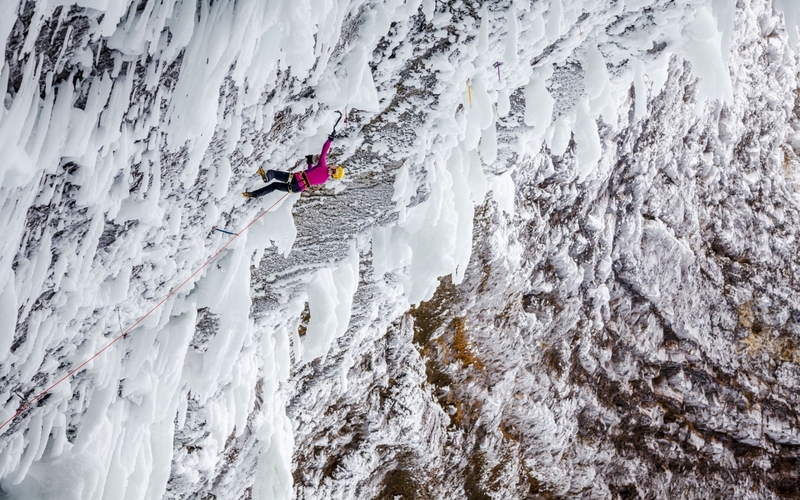 I love to switching between different climbing disciplines, from bouldering to multipitch climbing, from competition to outdoor climbing and from sports to iceclimbing. This fills my year with different projects and keeps me motivated. 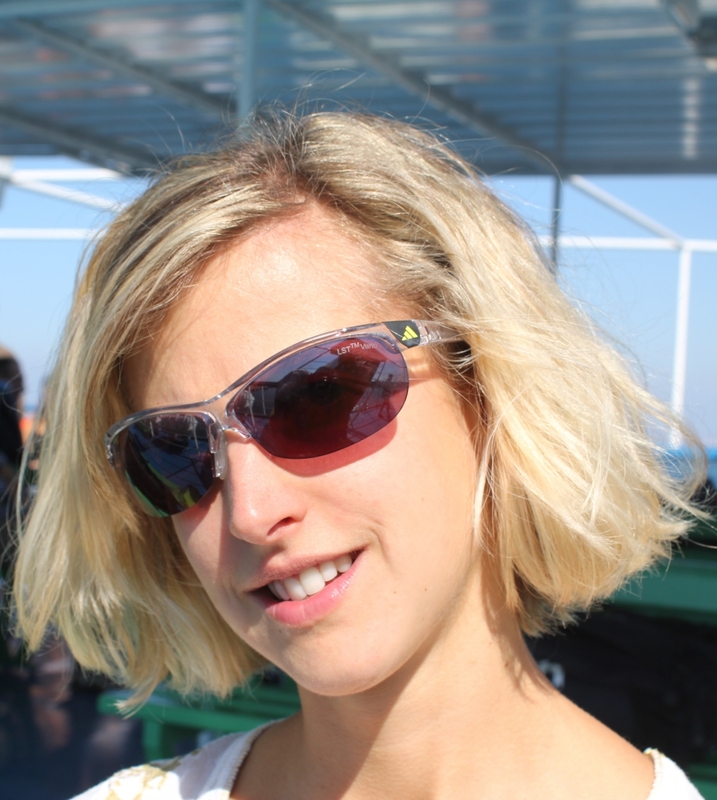 In 2008 I earned a bachelor degree in Agricultural economics and in the following years I worked as a scientific collaborator in an agricultural research center in South Tyrol. As I decided to dedicate more and more time to climbing, I reduced my working hours and since 2014 I am a professional athlete. I have many projects and ideas in my mind. Travelling, visiting new places and trying to improve my own level in different climbing disciplines are the common line that connects my different goals. 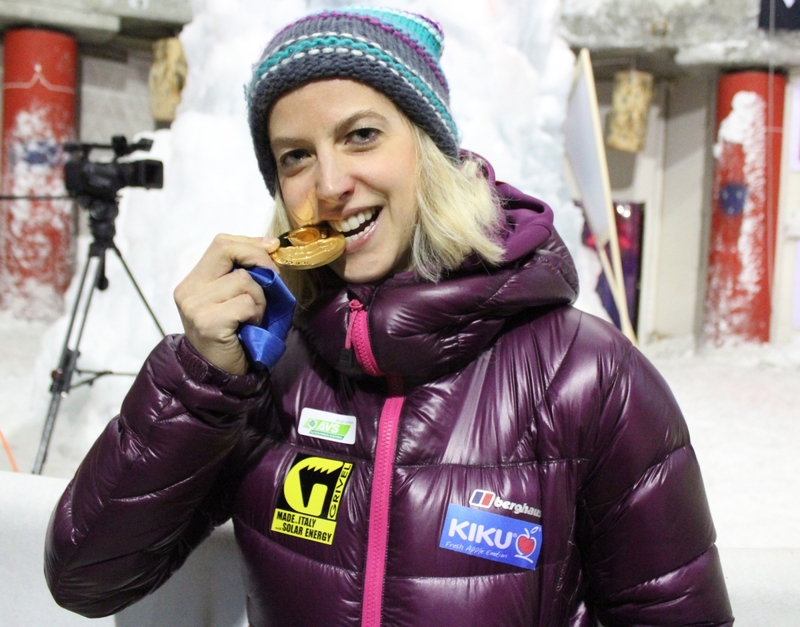 In competitions my greatest achievements have been my three World Champion Titels and two World cup general rankings in Ice climbing. 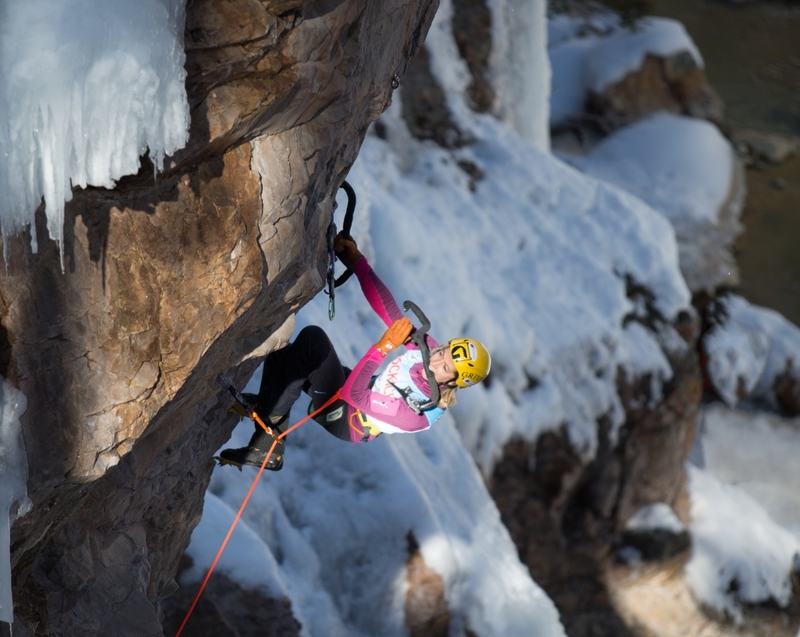 In Multi pitch climbing I was able to do the first female ascent of Via Italia 61, a beautiful old route in the Dolomites, which has been a special accomplishment for me, as it arrived the same year I decided to quit sports climbing competitions and focus more on outdoor rock climbing. 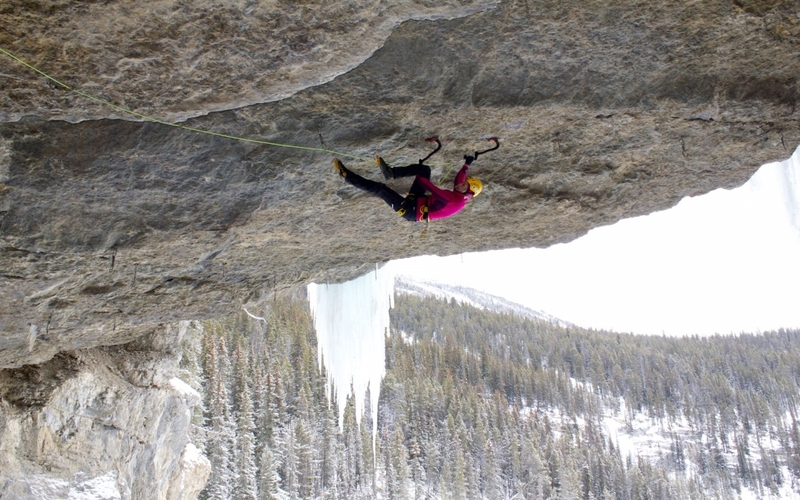 During the last years I have spent a lot of time Dry Tooling and Mixed climbing and the first female ascent of Clash of the Titans at Helmcken Falls in Canada, the first ascent of Kamasutra in Italy and my repetition of the Mustang in Colorado have been huge goals for me. Dry Tooling and Mixed climbing involve a lot of power and endurance in your arms and also a specific technique to use ice axes and crampons. 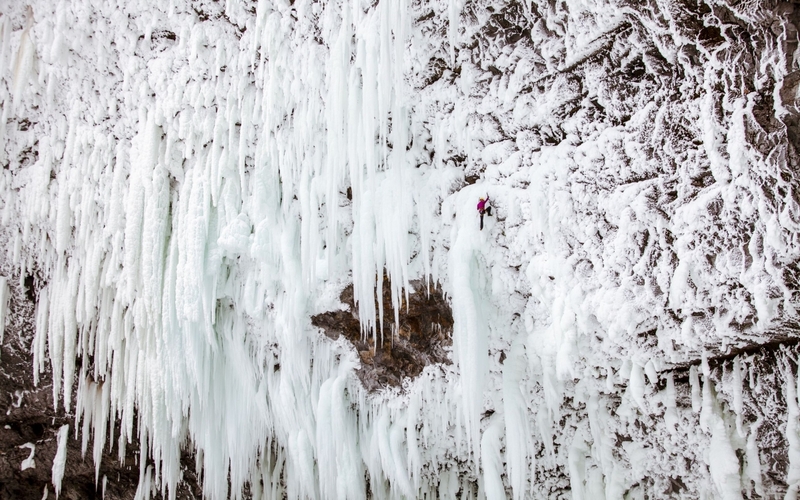 In iceclimbing competitions you need these skills and additionally you need mental power and concentration. 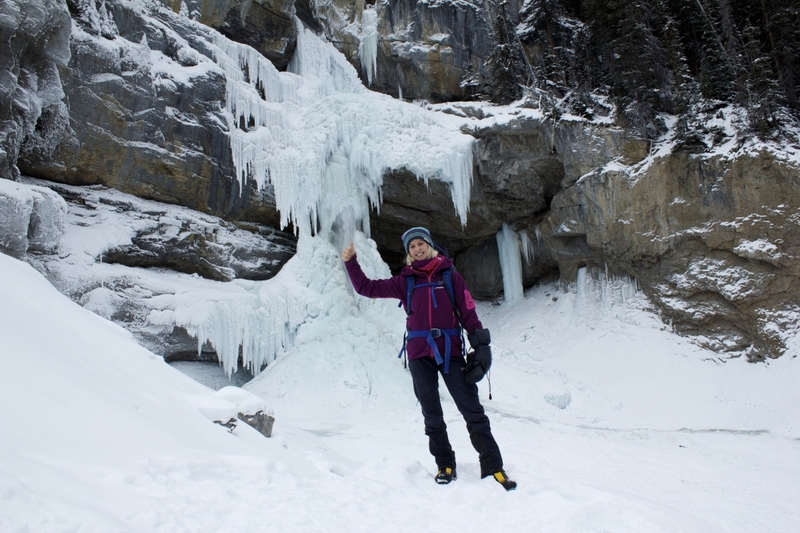 In Iceclimbing and Multipitch climbing a different mental power is involved as you need to overcome your fears and calculate possible hazards. Rock climbing requires finger power and a specific technique as well. I feel satisfied after a good training session, after a nice day spent climbing out in the nature with friends, after being able to climb a hard route or simply a beautiful line, after visiting a new crag or after a competition where I was able to give my best. 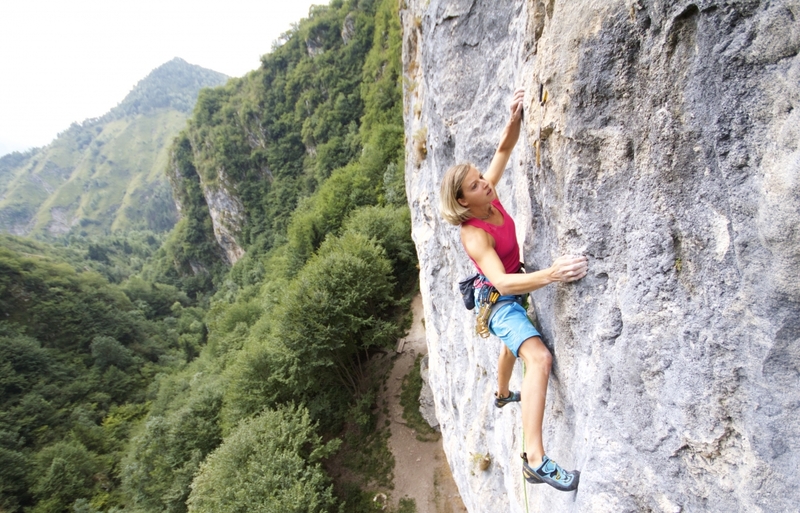 Climbing involves both body and mind. When you feel tired after a good climbing day and you have mentally tried to give your best while climbing and to concentrate completely on the moves you need to do to reach the top, then you will always feel satisfied. I train in the boulder gym both for sports and iceclimbing. In spring and autumn this training puts me in shape for my projects. Also running and biking are activities I often do alone. My training has various aspects, I do bouldering, exercises with the ice axes, I go climbing in the gym, I train in dry tooling and sports climbing crags and go running or biking. And most of the time I am happy to do my training and try to do it well. 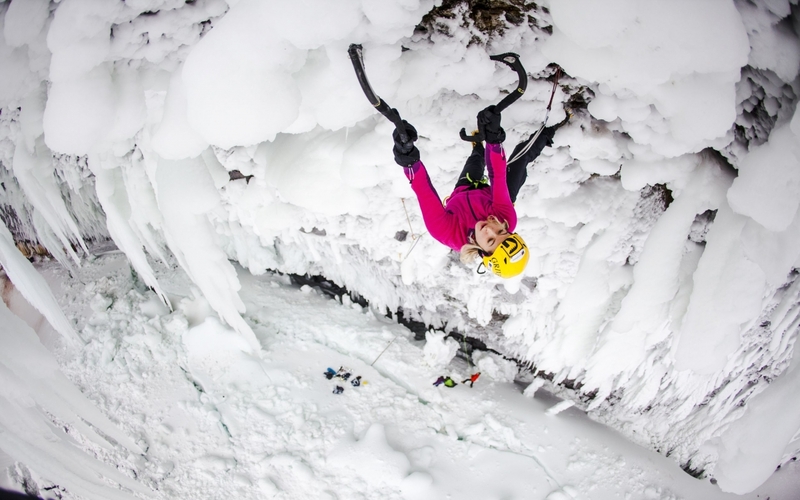 Iceclimbing competitions involve very technical routes and it is not easy to completely control your ice axes on these very technical holes. So there is always the possibility to make a small mistake and slip from the hole and so finish the competition in a not satisfying way. My boyfriend Marco, he supports me in all my projects, travels with me and always believes in me. I definitely want to travel to a lot of places; Australia, Japan and South America are all on my list, but next winter I might also go back to Canada. 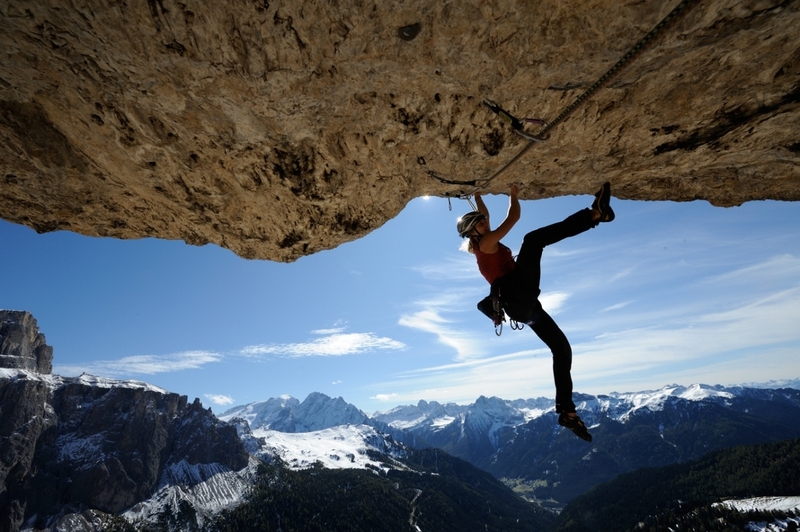 Climbing is a fantastic sport; it challenges your body and your mind and takes you outdoors into the mountains. It is important to learn the basic security skills and how to belay properly from an expert person as climbing involves also risks. Try to overcome your fears, try to work on your weaknesses step by step and have fun climbing with your friends.